Easily capture the beauty of life’s fleeting moments with the new D3100. A feature-rich digital SLR camera that surprises you with simplicity, and positively delights with superb results. Whether shooting casual snapshots, a delicately composed still life or full HD movies, you’ll love the ease with which D3100 does it all. The camera that amazes. Shoot with D3100 and enjoy the beauty. The camera that teaches you how...Let D3100 satisfy your dreams of better photos. Breathtaking full HD 1080p movies. Discover the difference a digital SLR makes when shooting movies. 4.9 x 3.8 x 2.9 in. 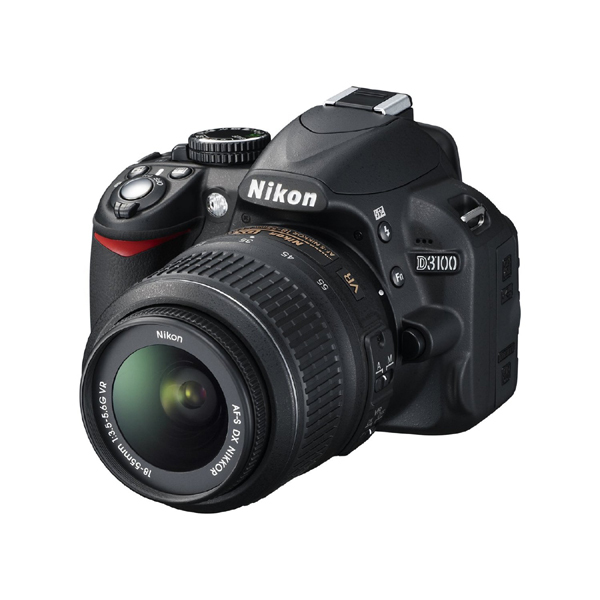 Click the button below to add the Nikon D3100 14.2 Megapixel Digital SLR Camera- 18 mm-55 mm to your wish list.